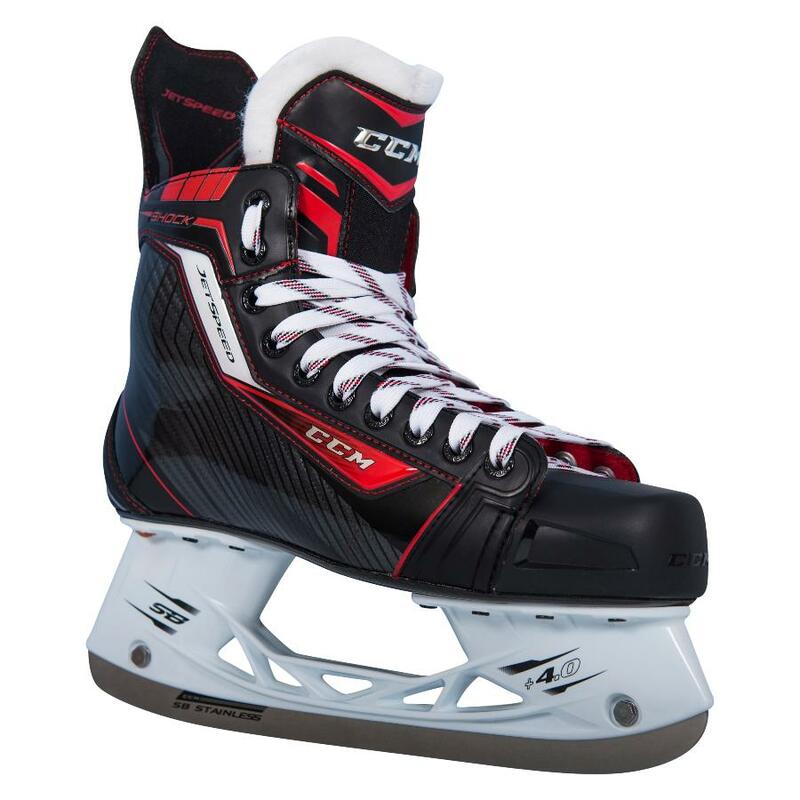 CCM JetSpeed Shock “Exclusive” Junior Hockey Skate | Sports Etc. We have partnered up with CCM to bring you a completely original skate. 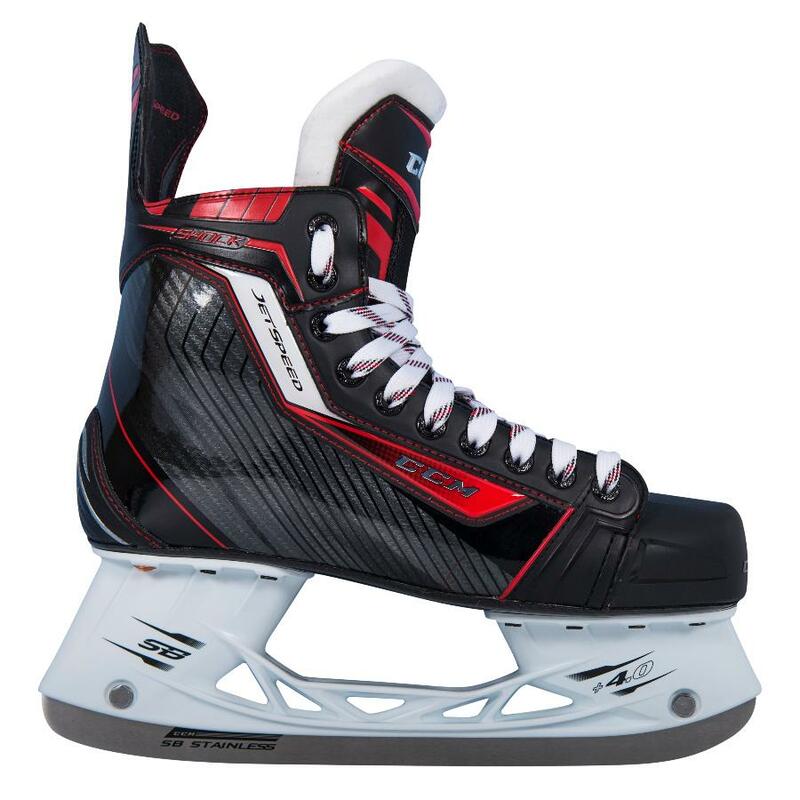 The CCM JetSpeed Shock skate combines the best elements of the JetSpeed 290, Jetspeed 280 into one skate. 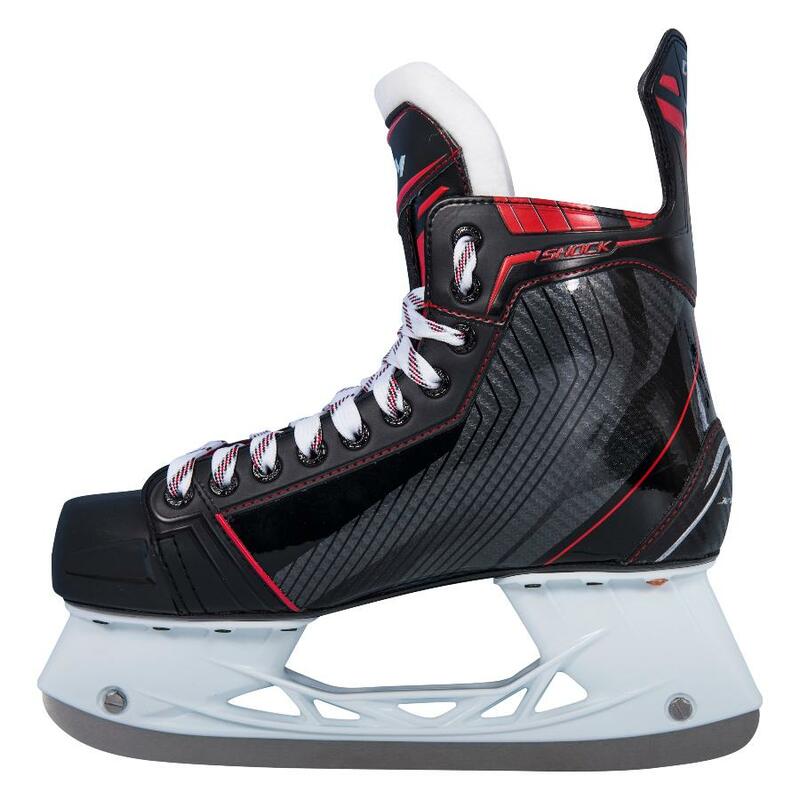 This unique mash-up gives you the benefits of a performance level skate at an affordable price. The SpeedBlade 4.0 holder increases attack angle providing greater strides and cornering. The heavy duty microfiber liner increases comfort, while the Smooth Contour comfort pad enhances the overall life of the skate.